Anna Gong is the CEO and Founder of Perx Technologies Pte Ltd, the leading mobile customer engagement SaaS company, backed by the co-founder of Facebook Eduardo Saverin and Golden Gate Ventures. 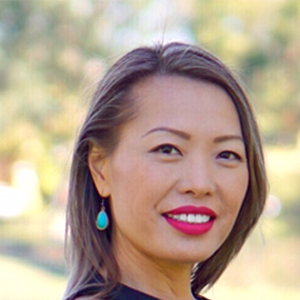 Previous to joining Perx, her 5th startup experience, Anna was Vice President of Channels Sales for Asia Pacific & Japan at Infor where she’s responsible for the go-to-market strategy and execution of the channels sales business. Anna brings 20 years of technology experience in management consulting and enterprise software, spanning the U.S., Asia Pacific & Japan. Prior to Infor, she was leading the Cloud, Virtualization, and Service Automation business units at CA Technologies, Asia Pacific & Japan. Anna has held multiple leadership roles, based out of San Francisco. She established and managed the Asia Pacific business for Wily Technology, the pioneer of web application performance and diagnostics, before CA Technologies acquisition of Wily in 2006 for US$375M. Anna also worked in management consulting at PwC and with various technology startups prior to Wily, playing a key role in implementing large scale SAP ERP systems, fund raising, developing and executing successful operations in direct sales and partner driven models. A winner of the Singapore Women Entrepreneur Award 2017 and LinkedIn 2017 CEO Power Profiles, Anna also serves as an industry spokesperson in Cloud Computing, Digital Marketing, Mobile Consumer Engagement and A.I. and has been featured in CNBC, Bloomberg, and Forbes. Anna has also spoken at many key tech conferences including Cloud Connect, CommunicAsia, ASEAN CIO Summit, CIO Academy, Echelon, InnovFest Unbound, CIO & CXO Leaders Summit, Tech In Asia, and numerous Fintech and InsureTech conferences.